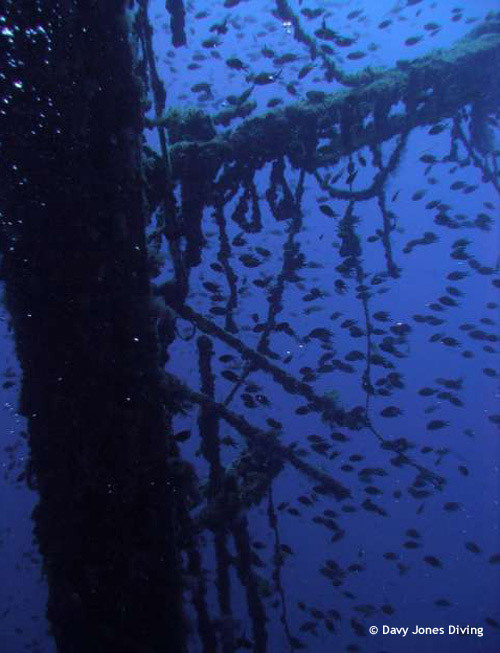 The Arona is a large mainly intact cargo vessel waiting to be admired by divers in deep waters. The Arona is a vessel some way to the south of Las Palmas and is not affected by the harbor works. In good conditions it is an awesome sight, largely intact and surrounded by shoaling fish. It is a large cargo vessel lying in its side in 40m of water, allowing a variety of dives at depths from about 25m to 35m along its length.